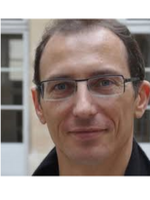 Etienne Wasmer is professor of Economics at Sciences Po where he specialises in labour economics, search theory, discrimination and human capital. He has been co-director of LIEPP until the end of 2017. His research activities have presented opportunities to evaluate public policy and submit numerous policy reports, most notably to the Conseil d’Analyse Économique (CAE) overseen by the Prime Minister and the Minister of Employment as part of his role as an independent expert on the minimum wage in France. In 2006, he was awarded the prize for the best young economist in France by Le Monde and the Cercle des économistes and he received the Wolowski prize in 2011 by the Academy of Moral and Political Sciences for his book, Principes de microéconomie (Pearson ed.). In 2010, he was the recipient of the AFSE prize for his work dedicated to students. Etienne Wasmer has also published État moderne, État efficace, with Marc Ferracci (ed. Odile Jacob, 2011). His research based work has been published in the The American Economic Review, The Journal of the European Economic Association, The Journal of Monetary Economics, The American Economic Journal (macro), The European Economic Review, Labour Economics, The Economic Journal, The Journal of Urban Economics, Macroeconomic Dynamics, among others.